Throw up a photo or tell us what you have. Keen to see the setups people are running and what sort of performance they are getting from the different chamberings with 18 - 20" barrels. I would be very keen to see if anyone has played with a short barrel 7mm blaser magnum and how it performed? 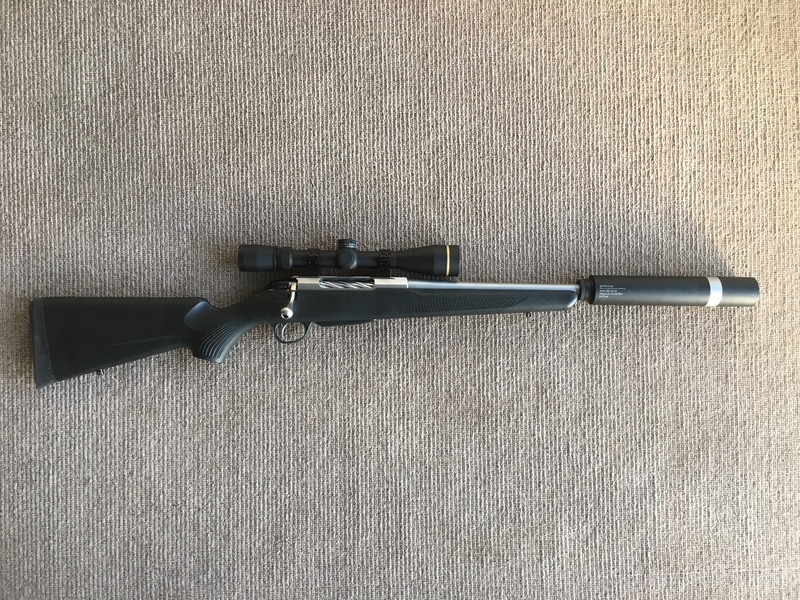 I've got a 284 built on a Tikka action with 17" barrel. Not much data to report yet as I haven't had time to play with loads lately but there seems to be plenty out there about the 284 anyway. Last edited by stagstalker; 30-01-2019 at 01:33 PM. 162's at 2750 with h414/win760. 19 inch 284. Plenty of poke out way further than I will ever shoot an animal. All of them will smoke an animal out to at least 600 with the right load. My thoughts with the 284 is that it is gives me plenty of performance out to the ranges I shoot, without having the above mentioned downsides of a magnum. tikka, McNotty and stagstalker like this. camo wsm, McNotty, Mooseman and 1 others like this. Now that’s a sweeet collection. Used to have a 7mmSAUM superpig. 18 inch supressed barrel. Ran 162gr Amax at 2,820fps. If I was going this short again I'd most likely stick with a .284 rather than a magnum case for the reasons @Nick-D mentioned above. Building a 6.5mm SAUM at the moment, going to finish the barrel at 22" and using one of the new Gen 2 DPT's on it. I feel like 22" is a good compromise between overall length and loss of performance from chopping the barrel in a magnum calibre. Tahr, outdoorlad, chainsaw and 2 others like this. None shorter than 20inch, that’s the way I roll, and probably reflects my hunting is more open country than bush bashing, the 20in is a 284 WbyMk5 weighs 5&1/2 lb bare rifle. The barrel length with suppressor is plenty short enough in the bush. Doing 2850 fps with 160TMKs. 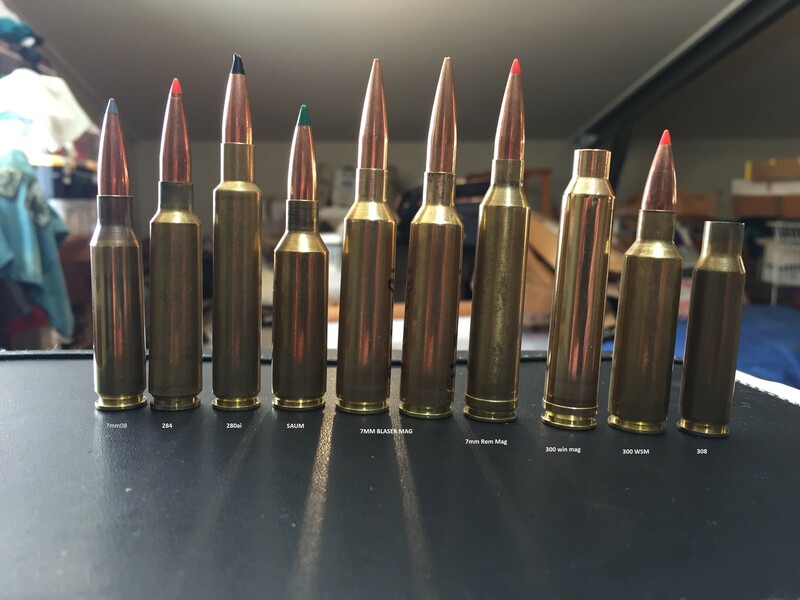 Have another 284 built on Tikka 22 in bbl 1:8.5 twist does ~2950 with 160 TMKs or 162 AMAXs. Weighs in at 6lbs. SAUM is 22 in, first load I worked up with 2217 was 2880 fps with 162 AMAX. Could get more speed but groups open up. In STUG stock also weighs in at 6lbs. Started playing some other powders recently to find more speed, looks promising for 2930 - 2980 fps. 280ai, 24in bbl 162 AMAXs doing 2950 - 2980 fps. Again 6lbs bare rifle. REM Mag 24in bbl (I’ve owned several including 26 in bbl) they all seem to have accuracy speed node around 3030 - 3050 fps. Best with RL25 or 2225. 7mmBM 180 VLDs doing 3050 fps 26 in bbl. Yes, especially with the less efficient cases. Thats what I went to for my 270wsm - 22"
Gen 2 DPTs please tell me more? It's on their website. I didn't know about them either... @camo wsm ordered it for me for my build. Slightly smaller diameter baffles and shorter out front of muzzle. Also comes further back closer to fore end as well. Ah yeah, that's true as well. Hi, I ll make a post about it later on today, but old baffles and parts ( now called MK1) will still be available . How do you even get a tikka 284 these days. I thought gunsmiths refused to work on them?